We have marked a remarkable position in the market by offering the best quality array of Gold Mercury Glass Hurricane. We are leading Exporter of Stylish hurricane lamp wall sconce and Glass lantern sits on a wood base carved with leaf designs and black metal handle. These stylish hurricane lamps feature stable base, featuring designs that are there to complement the surroundings. Moreover their quality and cost effective prices also make them highly demanded by clients across the globe. 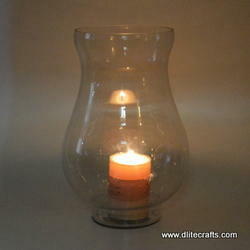 Candle Glass Hurricane with Jute & Leather Handle. Glass Hurricane Collection with Jute & Leather Handle. are light weighted and can be hanged in homes, offices as well as hotels and restaurants to provide a feel of Christmas season as well as winters. Our artisans are expert in carving out any shape out classic glass hurricanes to meet clients demands. These can be kept at the corners, on the dining table or side tables in the bedroom. 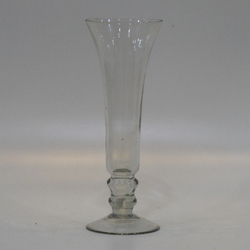 - Size: 80 cm - 32"
We are a top-notch organization, engaged in providing Hurricane Candle Lamp. We are one of the leading manufacturers of a quality range of hurricane lamps. Provided with beautiful glass body and rest metallic, these lamps have beautiful candles in all sizes and vivid colors. Our range of hurricane lamps is for the customers with an urge to decorate their homes and other places with enchanting home decor items.